Global population is fast opting for the routine of buying products online and buying prescription lenses is no exception. However, creating a platform to sell prescription lenses online with Magento 2 is not like setting up a web store for fashion accessories. 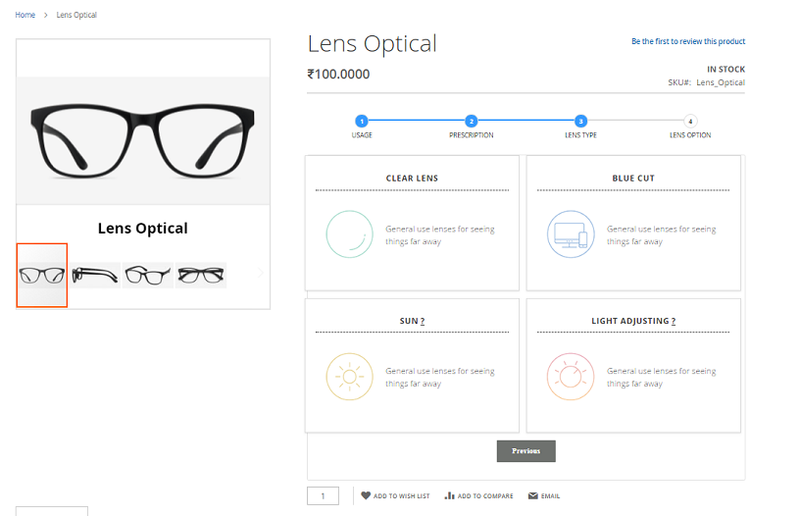 In the online prescription lens store, the admin needs to set lens types, lens options, create attributes for both eyes (right & left), and a lot more so buyers get exactly what they need. 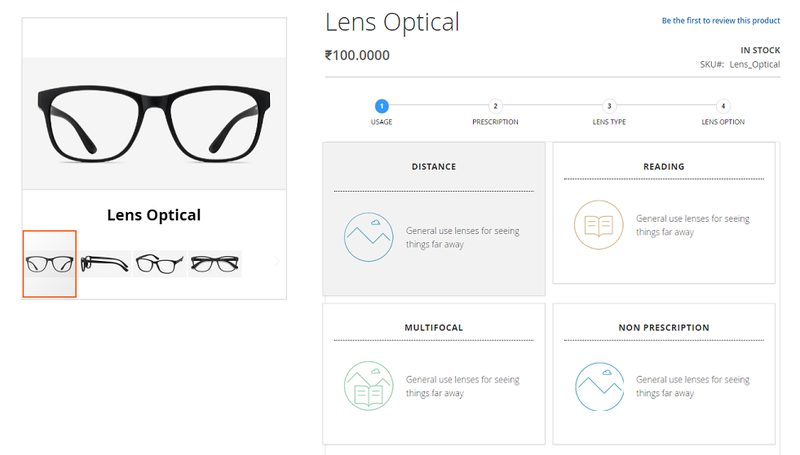 This Magento2 Extension is designed to allow store owners to easily set up online lens store, add lenses easily. 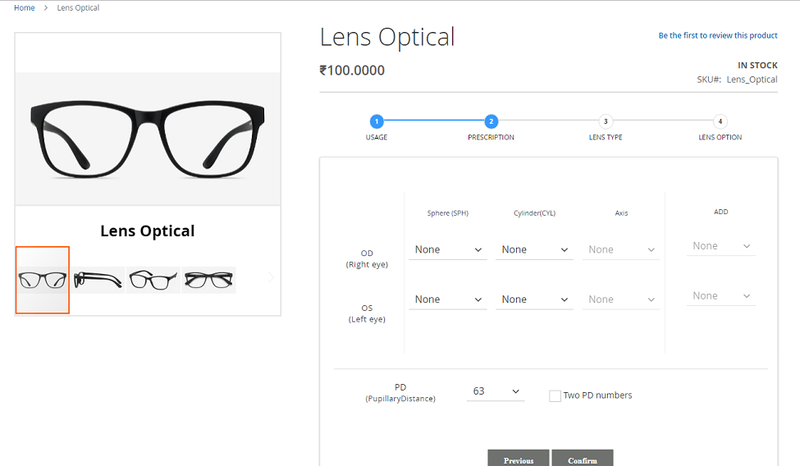 With this extension installed on Magento2 store, customers can enter details about the prescription lens they need easily with a few steps on the product view page. Store admin can put validations to be sure that all required details are provided by the buyer. 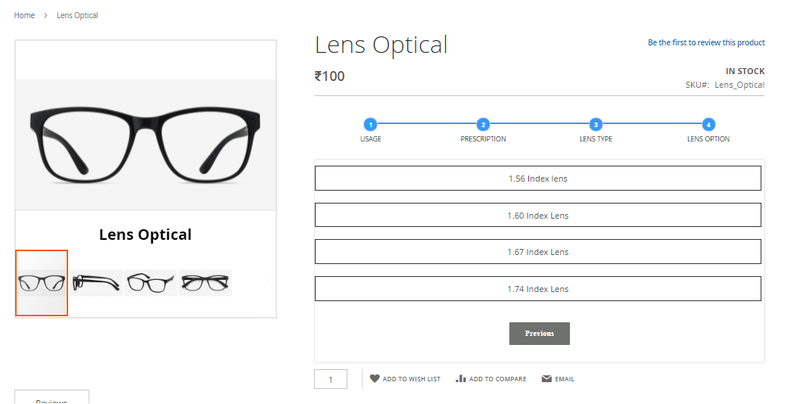 Shoppers can provide details about the lens usage, lens prescription, lens type, and lens option at frontend. 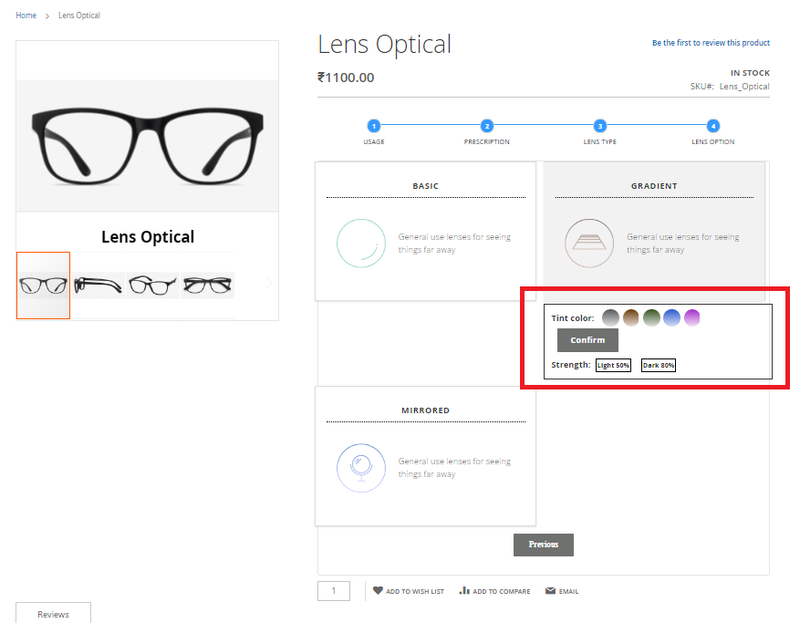 Advance Prescription Lens Configurator Magento2 Extension allows store admin to display both configurable products (right & left) eyes on the same page. Additionally, store admin need not create different products from the backend. 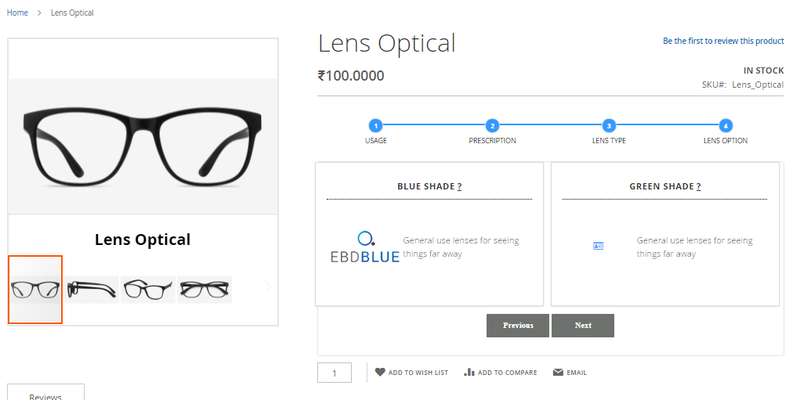 Buying lenses online is a quick task with this extension as shoppers can provide all the details about the lens and prescription easily with few steps. 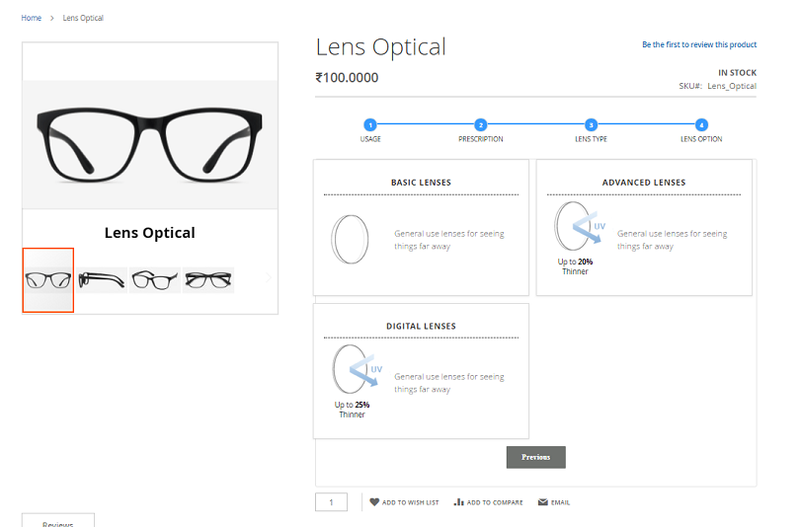 Display tier prices for the lenses online at frontend, which is otherwise not available with default Magento2 functionality. 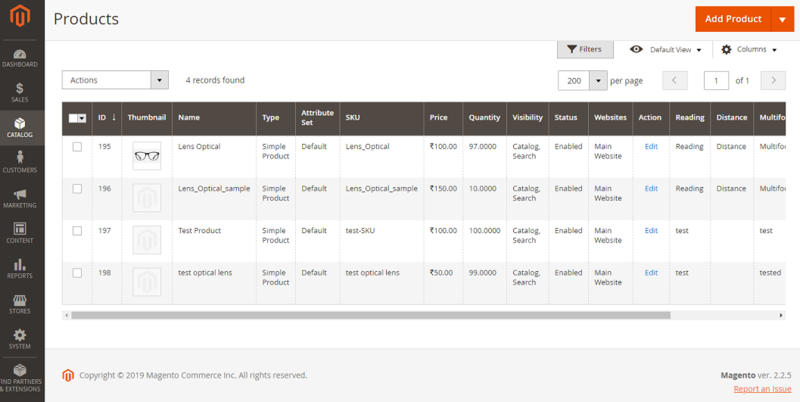 Customers would need to provide details about mandatory fields so they don’t miss any detail while placing the order.